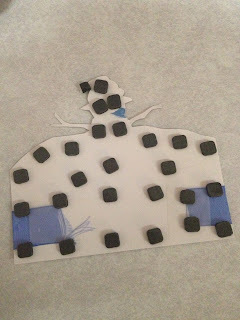 Carpe Memoria: Fire & Ice Blog Hop!! Welcome to Club Scrap's Fire & Ice Blog Hop! If you are following along, you may have come here from Janet's blog. 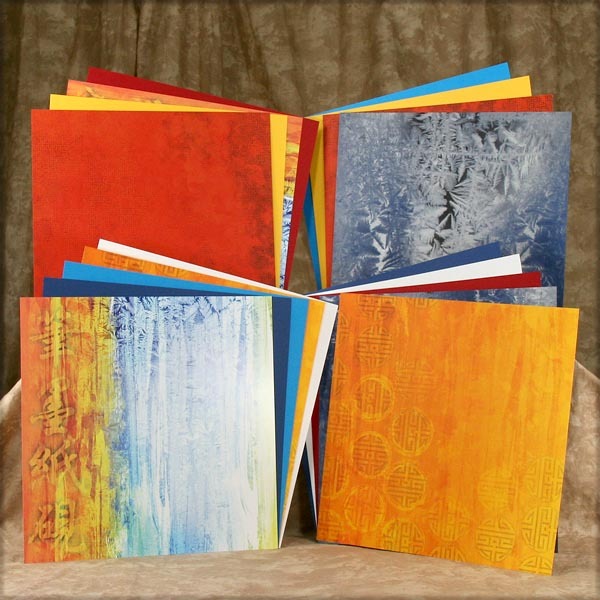 If not, or if you need to start at the beginning, check out Club Scrap Creates. The November 2013 kit from Club Scrap is an interesting mixture of warm and cool colors and hot and cold designs, hence the name: Fire & Ice. Don't these colors just scream "burning hot!" and "freezing cold!"? Lovin' it! 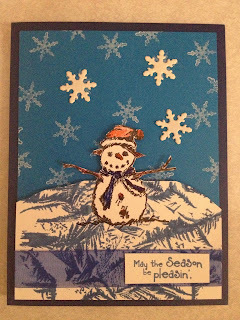 When thinking about this blog hop, I was trying to come up with a Christmas card like I did last month with Lock & Key. You can see that card here. 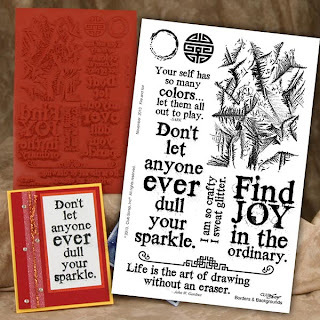 I could have used the red and gold, but there is a really cool "ice" stamp on the Borders & Backgrounds stamp sheet. See it in the top right hand corner? Very unique! 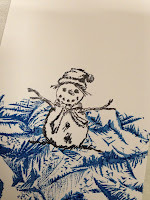 And although it's quite rare to have icy Christmas weather here in Georgia, this stamp did make me think of snowmen, and I love a "white Christmas" as much as the next girl. 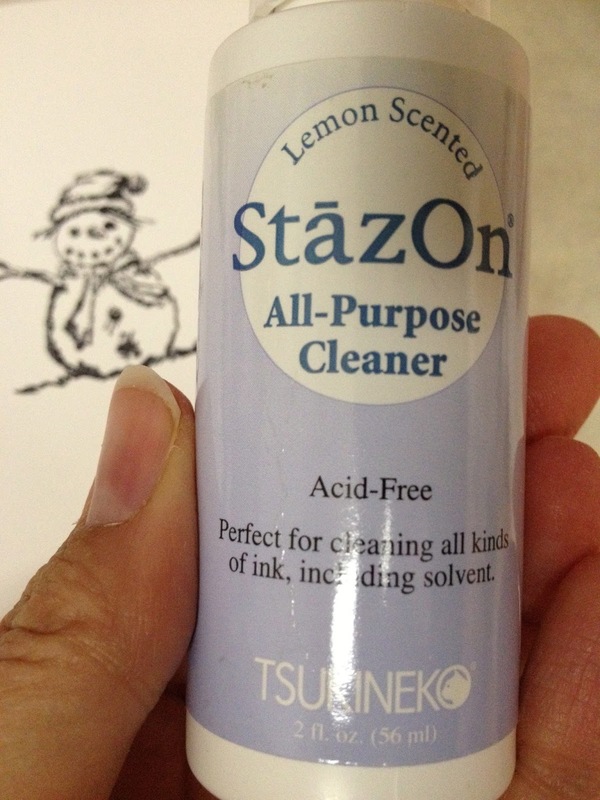 Here are the supplies I used for my icy blue Christmas card (though I did change out the white StazOn ink for my much better Club Scrap white pigment ink pad). 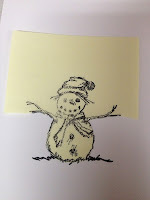 First, I stamped the cute snowman on the Post-It note with black StazOn ink and trimmed out the lower part to create a mask (the sticky part is at the bottom of the snowman's body). 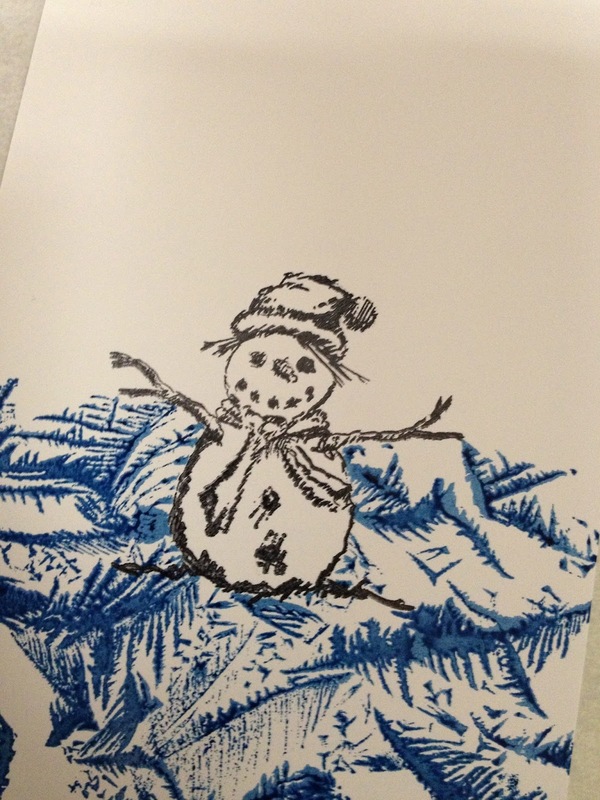 Then I stamped the same cute little guy on the white cardstock. This StazOn cleaner is great for cleaning the stamp (I love clean stamps!). 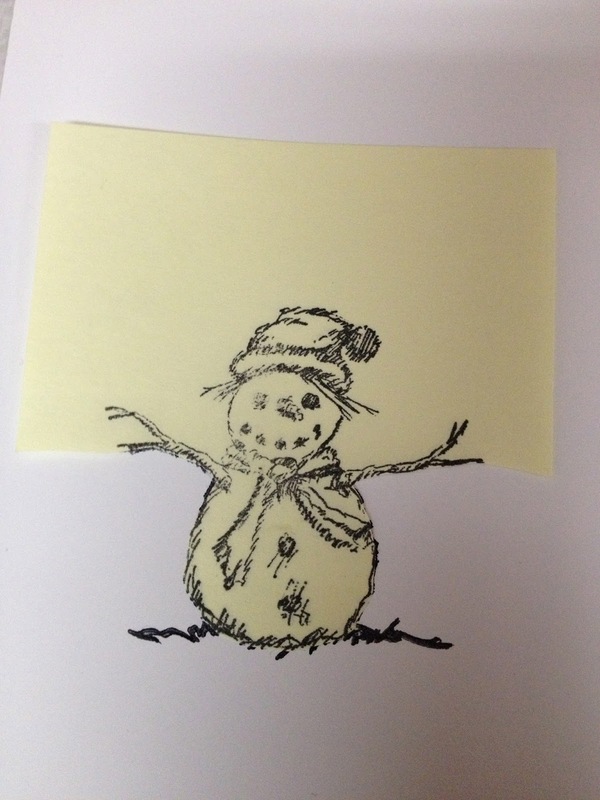 I used the stamped Post-It note as a mask and covered the stamped image on the white cardstock. 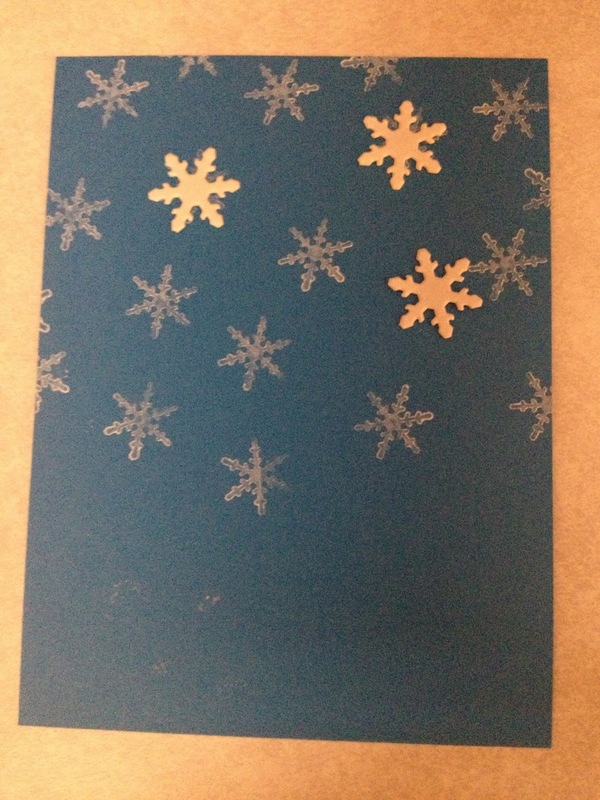 Then, I covered the lower part of the cardstock with the ice stamp inked with the distress ink. Peeled off the mask and voila! the snowman is standing on the ice! 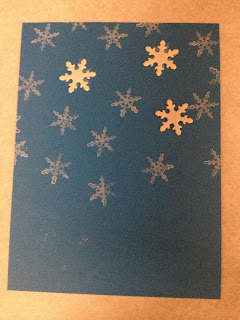 To prepare the blue panel, I stamped it with small snowflakes using the CS white pigment ink (I stamped first onto scrap paper to make a lighter image). Adding three snowflake brads adds dimension to the background. I "fussy cut" the snowman. No Copics in my studio since I'm not much of a color-er, so I pulled out my old Sakura micron pens to add a bit of color to my little guy. And to add more dimension, I added foam squares to the back of the white piece. On the front, I added a strip of ribbon and a fun sentiment to go with the fun snowman. And here is my completed card. I love the effect that the masking does--the snowman looks like he's sitting on an icy hill, and he's as pleased as he can be! If you've made it this far--thank you! 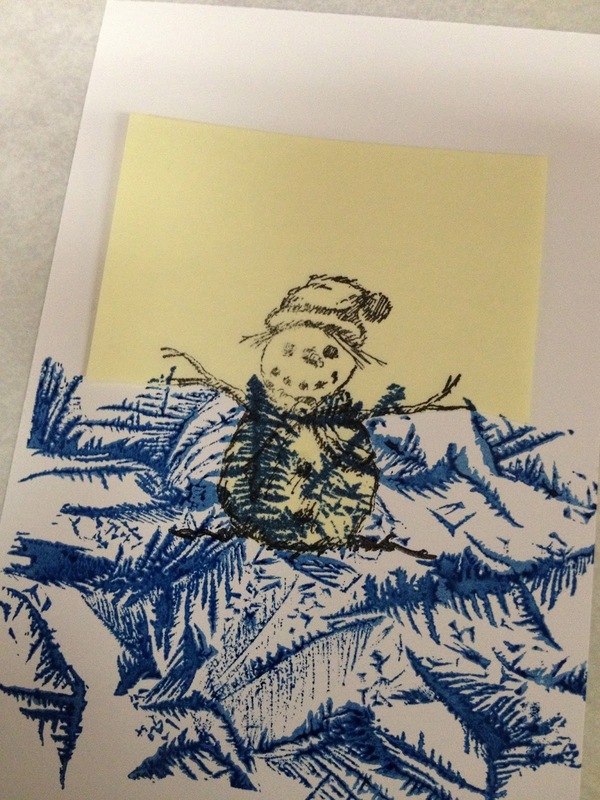 I hope you like my fun Christmas card using papers and a stamp from the Fire & Ice collection. Your next stop on the hop is Marya's blog, so click here. Happy hopping! How fun! 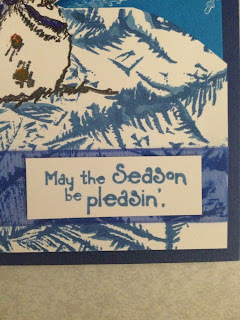 I love how you incorporated several stamp collections into one cute Christmas card. Your card is so adorable! Great job. Lisa, you did a fantastic job on this card! What a great way to add dimension to the card with both the masking and the pop-dots. Thanks for sharing how you created this! Great and fun card for this season! The stamps just go great together. Oh, how fun! I love the masking! I think I need this stamp. This is such a fun idea! 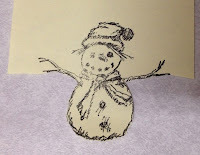 That little snowman was one of my favorite stamps from way back in the Carol Duvall days. And now, he can live on that beautiful, icy hill. ;) What amazing imaginations we all have! Cute card, Lisa! It is beginning to look a lot like Christmas! 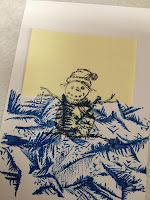 Cute card ~ the snowman is just darling! 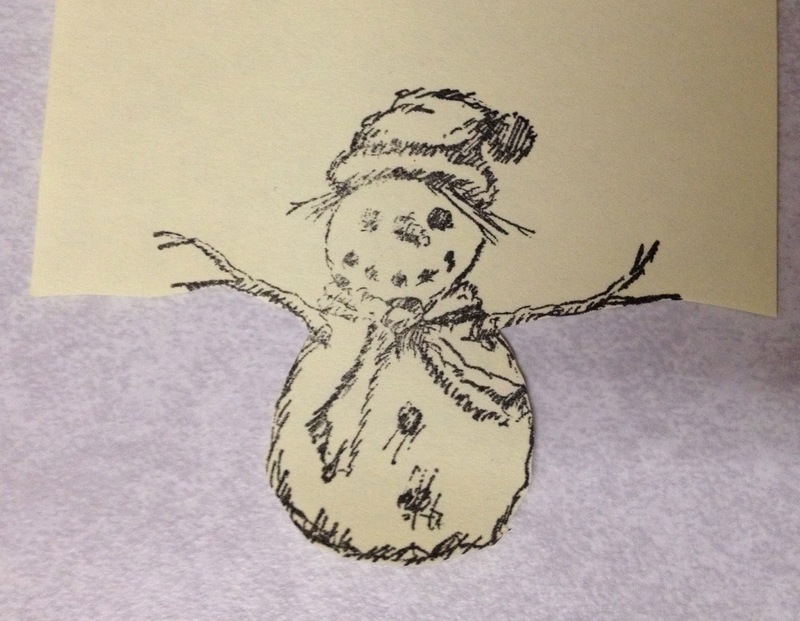 Your snowman is so sweet. 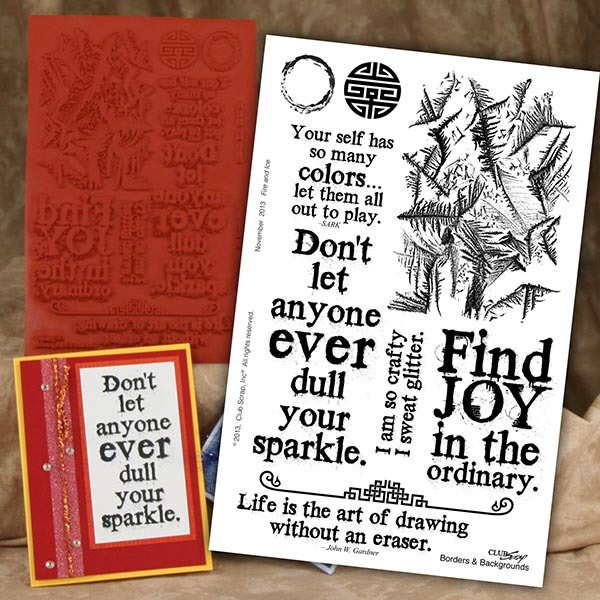 What a great way to use the stamps, I love the masking. 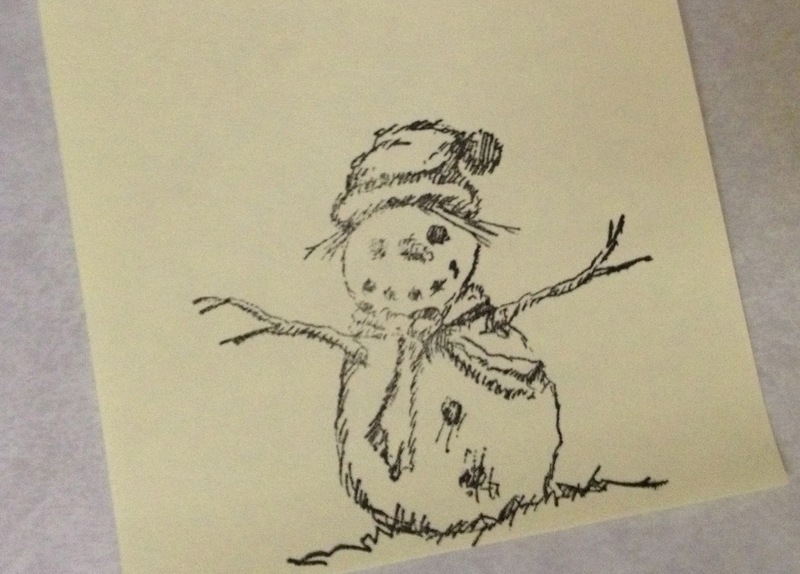 Ah that snowman has been on the front of a couple year's Christmas Cards, he's just so cute!